The Turning Point of the Season? After two long months of summer break, the FIM Maxxis Enduro World Championship returns this weekend to Italy for the 6th round of the season! 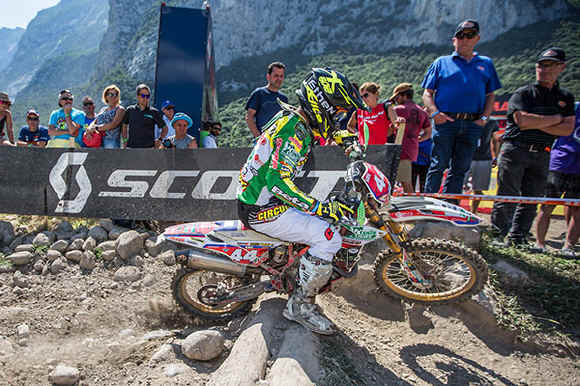 It is in Edolo, in the province of Brescia in northern Italy, that the stars of EnduroGP will compete against the clock. For this, the Moto Club Sebino - well known on the international scene for having already organised a GP of Italy in 2006 in Borno - is going all out! 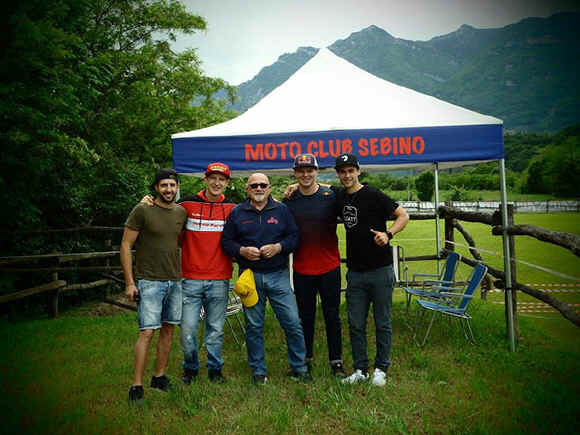 Indeed, the club where Giacomo REDONDI (I - Honda), Deny PHILIPPAERTS (I - Beta Boano) and Gianluca MARTINI (I - Beta) are licensed, is very experienced and has prepared a lap in traditional "Italian style”! The President of MC Sebino, Constante BONTEMPI, tells us: "It will be a typical Italian race with an Enduro Test that will be about 10 minutes long, in the forest near Edolo, and of course, it would not be a real Italian special without pebbles and roots! The Technomousse Xtreme Test will be natural and will be located in a river bed, while the Maxxis Cross Test will be divided between forest and meadow, this should be about 5 minutes long. With most of the lap set up high, the tests will offer magnificent "panoramic" views of the region to the riders, but if it rains, it will not really be much fun for them… "
SALVINI, HOLCOMBE and others will therefore tackle the Maxxis Cross Test before heading to the Enduro Test and finishing the lap with the Xtreme. The course is traced in a figure of 8 with two Time Checks which will be done in the paddock. 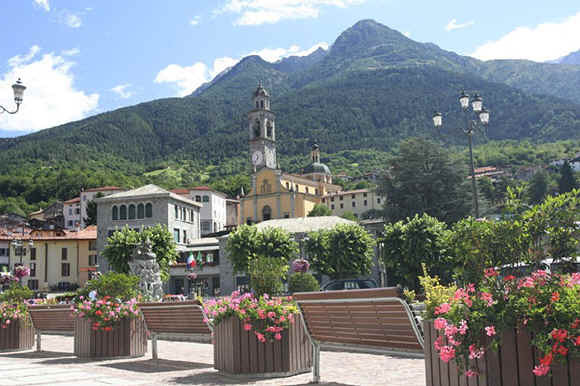 Geographically, Edolo is a municipality of nearly 5,000 inhabitants in the heart of the province of Brescia, in Lombardy. This village is in a bowl and its terrain is very conducive to Enduro… this should ensure a beautiful course and spectacular show during these two days of racing! Heading for a SALVINI – HOLCOMBE duel? If it seems that Alex SALVINI (I - Husqvarna) has dominated since the beginning of the season, the numbers do not translate that into the EnduroGP category... Indeed, the 2013 E2 World Champion is only 8 points ahead of his first pursuer, Steve HOLCOMBE (GB - Beta). This sixth round of the season should therefore be worth its weight in gold and could be a real turning point in the season of these two stars. 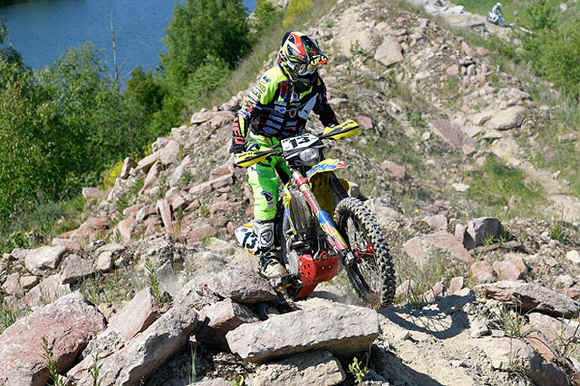 In Enduro 2, SALVINI should have less calculating to do. Indeed, "Rocky" is already 31 points ahead of Loïc LARRIEU and 34 ahead of REMES. He will aim to avoid any pitfalls and seek to increase these gaps a little more in order to aim for the world crown at the next Grand Prix in France. But there is no doubt that these two rivals will seek topple the Italian. While REMES has already shown that he could beat SALVINI, for his part, Loïc LARRIEU, longing for wins since May 2017 in Spoleto (Italy), expects to put an end to this run of misfortune and keep all hope of a first World Title! Behind this magnificent trio, Thomas OLDRATI (I - Honda RedMoto) will want to consolidate his 4th place, just like Deny PHILIPPAERTS (I - Beta Boano) who is holding a convincing 5th. 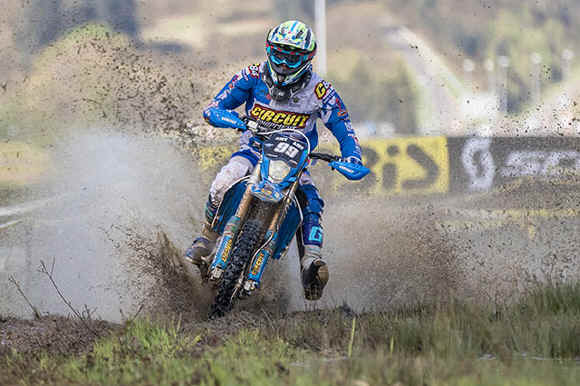 Finally, Giacomo REDONDI will be there, on his home turf, and will be keen to confirm that his beautiful performance at the OffRoad Park Pietramurata was not a one-off. In Enduro 1, Jamie MCCANNEY (GB - Yamaha) lost out big time at the beginning of the summer at the GP of Trentino where he injured his shoulder... In addition to losing the lead, he is now 20 points behind 2017 Junior World Champion, Brad FREEMAN (GB - Beta Boano). The rider from the Isle of Man will have to take risks and pull out all the stops to reduce this gap. But it seems that pressure is not something that bothers the Beta Boano rider who usually gives the impression of riding "just for fun” and who will try to manage his lead before the French GP. Behind the two Brits, Antoine BASSET (F - Gas Gas), second in Trentino, will once again want to enjoy the joys of the second step, just like Manuel MONNI (I - Suzuki) who intends to shine too in front of his home fans and bring a second podium to the Suzuki Lunigiana team. Note that Gianluca MARTINI (I) will be present and motivated to perform well at the GP of his Moto Club, while Britain's Alex SNOW (GB - Honda) has convinced the RedMoto Team Manager, Matteo BOFFELLI, to give him another shot as a Wild Card, and he intends to do well as he did in Tallinn (Estonia). The RedMoto team should also count on the return of Davide GUARNERI (I - Honda), back from the nasty back injury he sustained in Portugal. The task is clearly not easy for these two riders, but we know their strength of character and talent and everything is still possible! For his part, Anthony GESLIN (F - Beta) will certainly seek to consolidate his 4th place while taking advantage of the slightest mistake for the Top 3 to garner a new podium. Path to Glory for CAVALLO? Onlookers wonder who will be able to stop Matteo CAVALLO (I - Beta Boano) in his quest for the overall Junior World Title... Jarno BOANO's protégé is no less than 27 points ahead of his compatriot, Andrea VERONA (I - TM), and seems untouchable. This is also the case in Junior 2 where CAVALLO dominates the category with 31 points ahead of another Italian, Davide SORECA (TM). However, "Showreca” will miss his home GP due to an injury sustained in Trentino and subsequent surgery. And therefore the battle for the Top 3 in J2 will be very interesting in the final rounds with Jack EDMONDSON (GB - Sherco), Joe WOOTTON (GB - Husqvarna) and David ABGRALL (F - Sherco Academy) all in with a chance. It's a similar story in Junior 1 where Andrea VERONA dominates the competition. But his rivals, composed of the Belgian Antoine MAGAIN (KTM), the French Théo ESPINASSE (Sherco) and the Spaniard Kirian MIRABET (E - Honda), are in hot pursuit. Finally, in the 125cc FIM Youth Cup, the JET Racing rider Ruy BARBOSA (CL - Husqvarna) seems to have found his cruising speed ... but he will still have to keep an eye on the Sherco armada behind him, composed of Matthew VAN OEVELEN (B), Dan MUNDELL (GB) and Hamish MACDONALD (NZ) who are not far away and seem ready to reverse the trend.